The White sewing machine is a staple product of the White sewing machine company, a Massachusetts-based firm that has been manufacturing sewing machines for over 150 years. A number of types in the line of White products are available, all sewing machines for different purposes. Models for embroidery only or just for quilt making are available and multi-functional models are available as well. If you want to keep your White sewing machine functional and efficient, you may want to learn how to troubleshoot it. 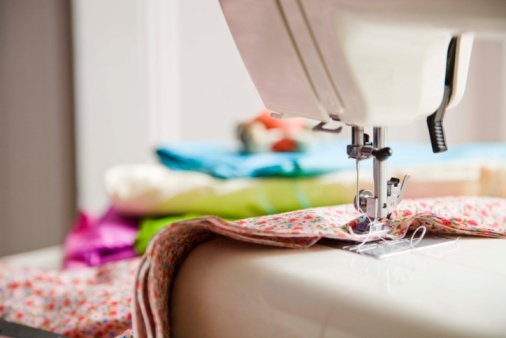 You can try troubleshooting your White sewing machine before you bring it to a professional. Detect any major problems that may have caused your White machine to stop working or start working poorly. This includes problems such as sudden stop in sewing, stuck or broken needle, stuck or broken thread, loose hand wheel, improper stitching and various strange noises. Identifying the problem is half the key to the solution, not just in the case of troubleshooting sewing machines. Before the troubleshooting, make sure that your White sewing machine is turned off. Inspect your White sewing machine by looking at its outer surface first. No matter what is the specific problem, the first step has to be visual inspection, because sometimes the solution is easy and obvious. Check the basics such as running out of thread, stuck foot pedal and power. Note that a lot of White models are computerized, so there might be a software problem as well. Check the needle in your White sewing machine, since that is one of the most common reasons a sewing machine starts working improperly. If the needle is stuck, the problem might be the thread. When the thread runs out, the needle automatically stops. In that case, all you need to do is replace the empty spool and turn on the sewing machine again. It also may be that the presser foot or the buttonhole lever is up, in which case you need to lower them. If, however, the needle breaks, you need to replace it with a new one. But think about the cause of the break: did you use a thin needle for a heavyweight material or pulled the material too vigorously, did you fail to insert and fasten the needle properly or is the needle screw too loose. If you pay attention to these things and the position of the presser foot, the needle in your White sewing machine will work properly. Check the thread and the stitching. If your White sewing machine produces irregular stitches or skips them altogether, the first thing to check is the thread. Loosen the thread tension and pull it in the thread sensor guide. Also, thread the bobbin case properly and check the size of the spool cap. The second thing that might be faulty is the needle. If the needle is blunt, bent or the wrong size, threading and stitching will both suffer. Look at the material in the White sewing machine. 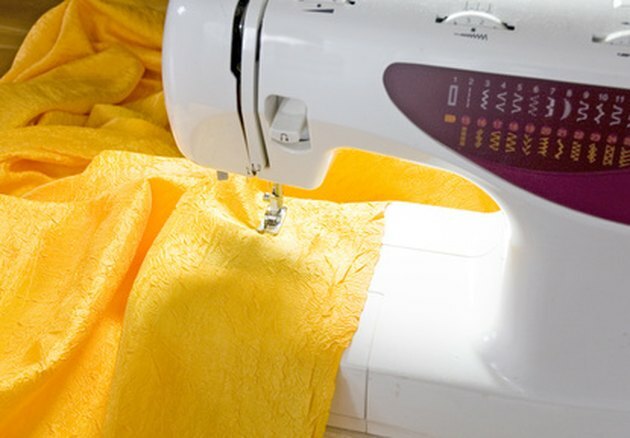 If your machine isn't feeding the material as it should, regardless if it's because of the speed or dislocation, first check the stitch length setting. Sometimes, it's set to zero, so you will need to select the proper length again. Also, the presser foot pressure could be too low, as opposed to 'normal', which is the proper setting. Clean your White sewing machine, especially if you keep hearing strange noises while it's turned on. Take off the cover from the machine's shuttle and thoroughly clean it. Why Is the Thread Getting Tangled Up Under My Material When I Use My Sewing Machine? What Is Wrong With a Sewing Machine That Will Only Sew Backwards?